Could we provide a similar podcast for you or your artists? A great way of getting product in front of consumers? Click here for more information about RSS. 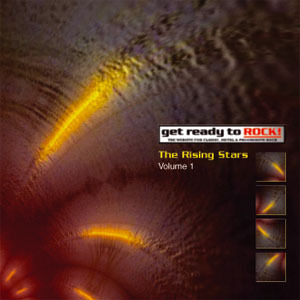 Since 2003, the classic rock website www.getreadytorock.com (GRTR!) has been promoting upcoming and unsigned acts as well as the more familiar mainstream artists. 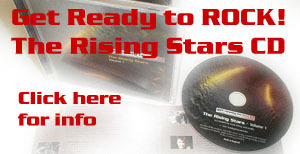 The CD 'The Rising Stars', produced for the Cambridge Rock Festival 2007, brings together 16 bands under the 'rising stars' banner, and the music styles range from pop rock, through indie, to melodic rock. Artists include Natascha Sohl who so impressed GRTR! with her debut album, prog rockers 25 Yard Screamer, rock violinist Anna Phoebe and Public Symphony who supported Marillion at their London gigs in June 2007. Several tracks are alternate mixes or previously unreleased.